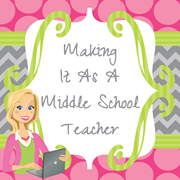 I am so excited to be a contributing author for The Lesson Cloud! Just in time for all the March activities, The Lesson Cloud is Going Green. 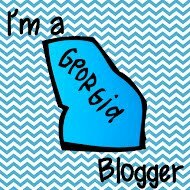 Keep your eyes open for tons of extra posts, including many freebies, by The Lesson Cloud authors. They'll be easy to spot...because they'll all be GREEN!!! 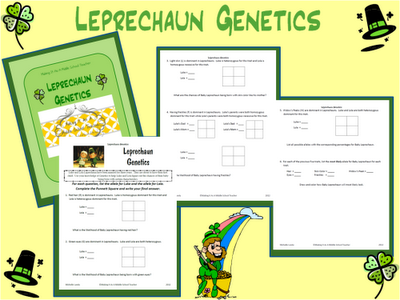 So, my first contribution is a Science FREEBIE called Leprechaun Genetics. Luke and Lola Leprechaun have been married for three years. They are about to have their first child. Use your knowledge of Genetics to help Luke and Lola figure out the chances of their baby being born with certain characteristics. For each question, list the allele for Luke and the allele for Lola. Complete the Punnett Square and write your final answer. There's even a chance to draw how Baby Leprechaun will likely look!